I am based in Tagaytay City but it is often that I get deals and projects at the Metro. Despite the countless times that I have traveled to the city, I have and will never get used to the hustle of it. The heavy traffic and jams, the amount of people that I get to encounter and walk with and the towering buildings make me feel claustrophobic and uncomfortable. The travel itself is also a challenge since I have to leave home at least three to four hours earlier than my appointment. Recently, I got tired by this and resorted to staying for a night somewhere and Maxx Hotel, I'd say is a great choice. Booking and checking in to the hotel was smooth. Prior to my stay, I gave the hotel a ring and informed them about the dates of my stay; and then, I was booked. Booking, though, might also be done through their website and other online platforms such as Agoda, booking.com and others. We came from Fairview that time and it only took us an hour or less to get into the hotel via MRT and through Guadalupe. We only waited for less than five minutes to have the key card handed over us. Someone even assisted us on our way to our room and said that we may call them any time if we need something. We stayed in an Urban type of room. The room has a comfortable king-sized bed with fresh linens, working table with outlets, note sheets, bible and office chairs. It also has television with Youtube, Football and Netflix, coffee maker set, toiletries, hand, face and body towels, bath robes, slip ons. The bathroom has both hot and cold shower and bidet (yay!). 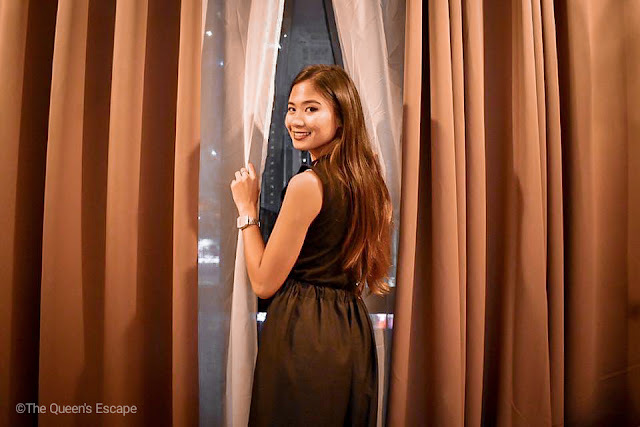 My stay in Maxx Hotel that night was quite a breather from the city rush. I love how relaxing the ambiance of the hotel is from the lobby, to the rooms and its other facilities. I was able to work well and in peace as they also gladly assisted me with what I need and that a coffee maker just sits there enabling me to make a mean cup when I want to. I worked flexibly from the working space in the room or at the roof deck as internet can be accessed anywhere at good speed. I took occasional breaks binge watching my favorite shows on Netflix. The next day, I got up early and took a morning dip at the Jacuzzi by the roof deck. After that, I had breakfast in Luna Specialty Coffee at around 10:30 AM. I also loved the idea that guests can enjoy the complimentary breakfast until 1:00 PM. 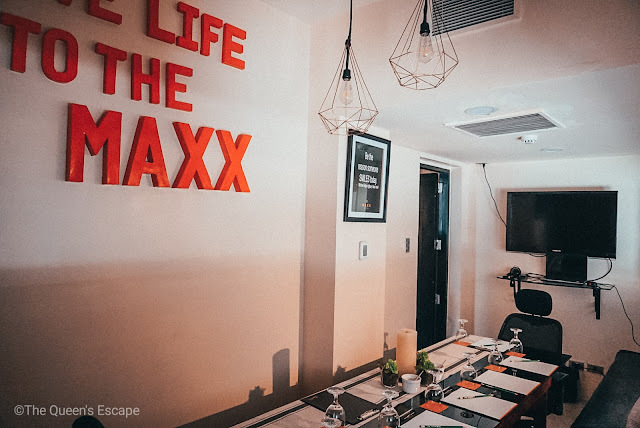 Maxx Hotel is a new three-star lifestyle and business hotel nestled in Poblacion Makati. Since it primarily centers on people in the business world, their facilities and amenities are designed mainly to cater to their craft at the same time give them a quick time out from the bustle. Maxx Hotel has 48 rooms with 3 types: the Urban, Urban View and Urban corner. These rooms are equipped with air-condition, chest refrigerator, safety deposit box, king-sized beds with fresh linens, bed-side lamps, Wi-Fi, Smart Television with Youtube and Netflix, Coffee maker set, hot and cold shower, toiletries, towels and bathrobes, cabinet with hangers, couch, reading chairs, laundry bags, corner and bedside table, bible, notepads and telephone. Some rooms have magazines and digital clocks. I love how simply minimalist yet appealing the rooms are. Each room is designed with a floor to ceiling window that gives the view of the city below. I can just tuck the curtains on the side and absorb too much sunlight in my room and my system. At night, it gives me the view of the fancy city lights and the busy street of Makati. I love that each room also has a working space with outlets, too. This has made it easy for me to work. The speed of their internet is also commendable. 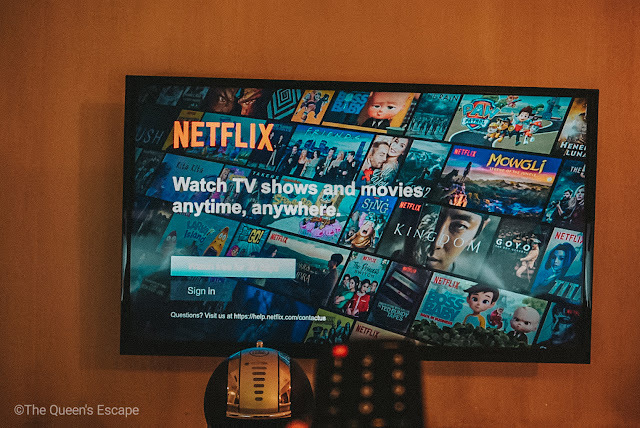 The best staycations are the ones with Wi-Fi, pool and of course, Netflix! 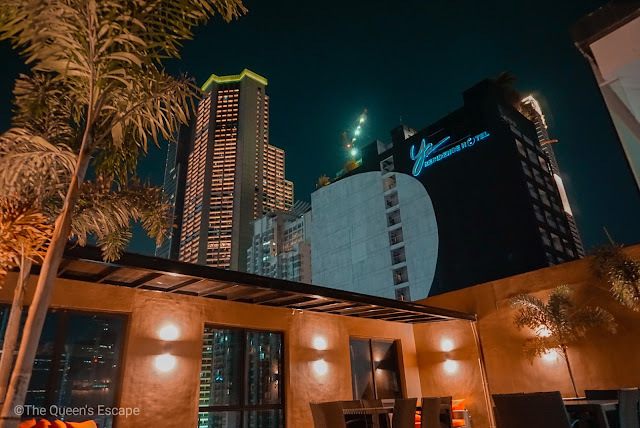 Enjoy a warm dip in their Jacuzzi at the roof deck with a glass of wine and the view of Makati city lights and towering skyscrapers. This is a quick yet perfect escape from the bustle of the business world. I tried the Jacuzzi in the morning and soaked in the morning sunlight since it doesn't have any roofing at all. The hotel staff just need to be told so they could prepare the facility. 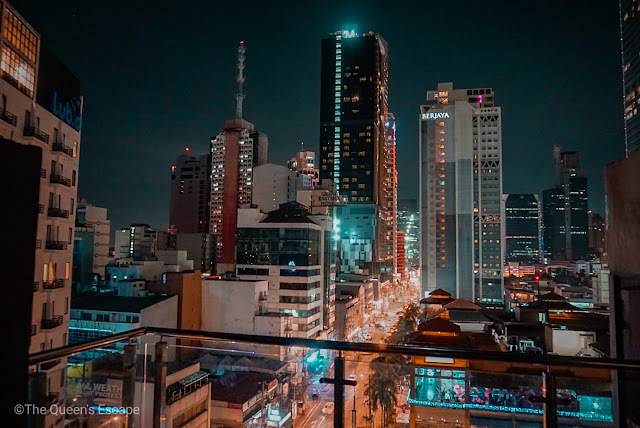 If you feel like the whole room is closing in, you can go to the hotel's roof deck as a breather as its open space gives you fresh air and a view of the night sky. It is also quite a spot to get a dose of sunlight and morning air. It can suffice as a smoking area, too. There are couches where you can sit and lay comfortably. Also, I personally love the view of the city lights at night. Since the hotel itself is nestled in the city hence it also caters to people who have business in the vicinity, Maxx Hotel can be a good choice to check in for a group of business people who might also need a space to discuss their agenda. They have a meeting room that can accommodate up to eight persons. The room is well lit and ventilated. 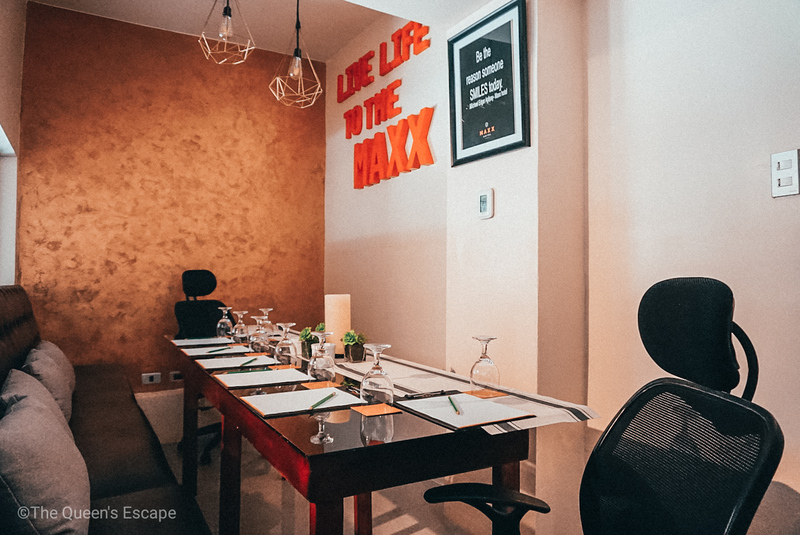 It is also equipped with 40-inch television, laptop and necessary cables, sheets of papers and pens for note taking, long table, comfortable office chairs and couch. Should coffee or some snack be of necessity, Luna Specialty Coffee is just nearby the lobby. It could provide such. Should you wish to be picked up at the airport or from any point in the city, you may call the receptionist to arrange their in-house ride for you. 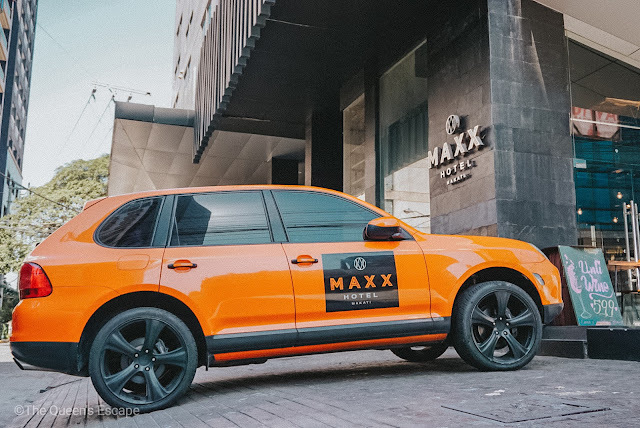 called as Mad Maxx, this lively sleek orange Porsche can pick you up and take you to your desired destination with utmost convenience at a price. I love how responsive and attentive their staff are. They responded well when we were booking and left no queries unanswered. When the staff we're talking to was not able to answer it, she calls back whenever she can. 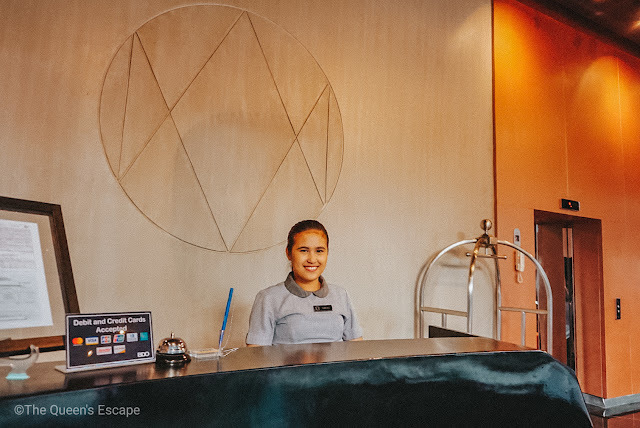 Upon our arrival, the receptionist gave us her biggest smile. She asked the room attendant to assist us to our room which he happily did. We didn't wait long to be checked in, too. Our requests, most especially the services that they can provide, are attended all the time. It wasn't hard to get into the hotel at all. It was just a ride away from MRT Guadalupe Station. Also, if the guest wishes to roam and wander around the city, it is just few minutes away from the district. 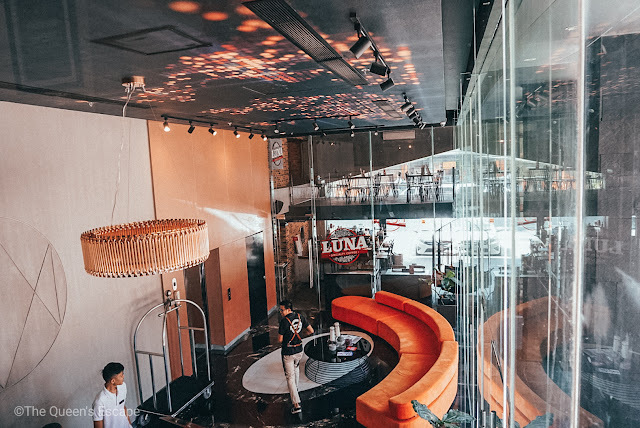 Maxx Hotel has its concessionaire by the lobby - Luna Specialty Coffee, which offers good deal of hearty Filipino breakfast til 1:00 PM (way to go not-so-morning people) and cups of caffeine goodness that will get you through the day. 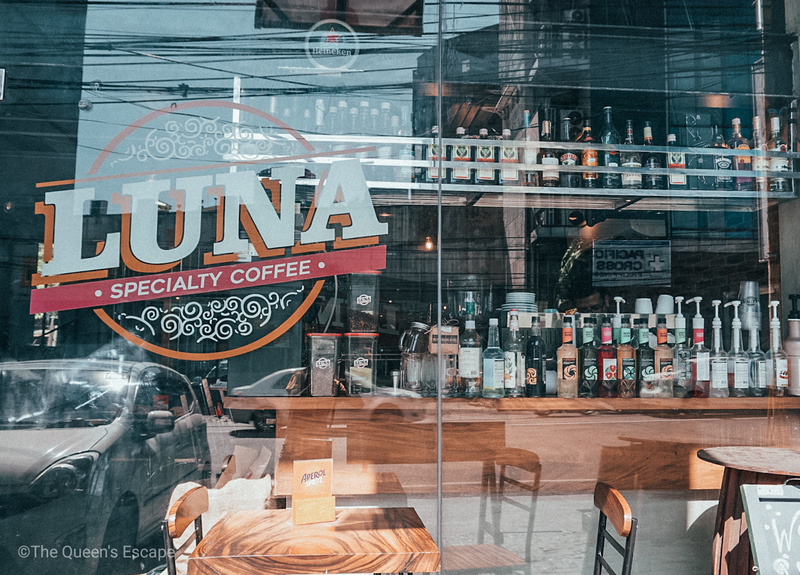 If you are in a pursuit of something else to satisfy your gustatory cravings, there are nearby fast food, coffee shop and restaurants in the same street or just a ride away. 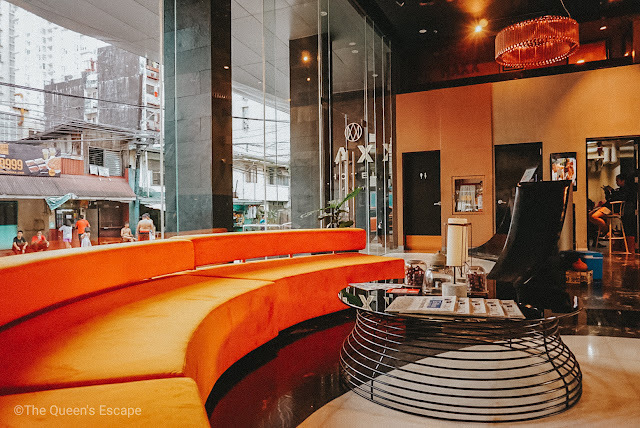 The nearby ones which are located few blocks away where you can go by foot include Yellow Cab Pizza, Big Guys Pizza, Barrio Fiesta, Kuwagos Grill, Art Circle Cafe, Pink Panda, Giligan's, True Grill, Three Guys and A Grill and more. 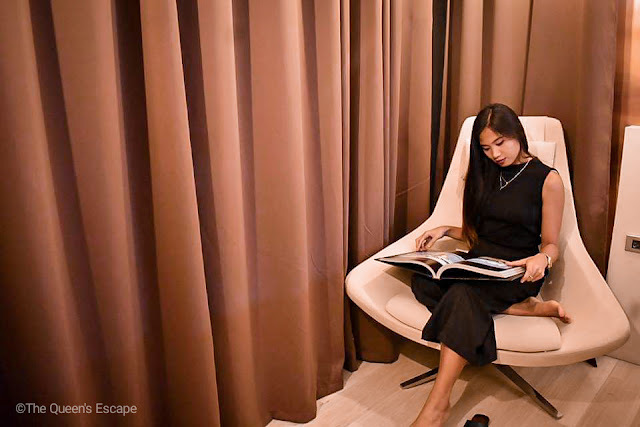 Overall, I can say that Maxx Hotel is a good pick for a hotel in the Metro as it offers more than just a spot I can confide to to escape from what I have though as inescapable hustle of the city. It has become an instant de-stressing staycation. Would you also give this a try?